I really enjoyed Colonial Williamsburg. I really could have used more time here! We w ere divided into three groups and each given a knowledgable guide to help us navigate through the town. Williamsburg claims to be the largest living museum in the world. 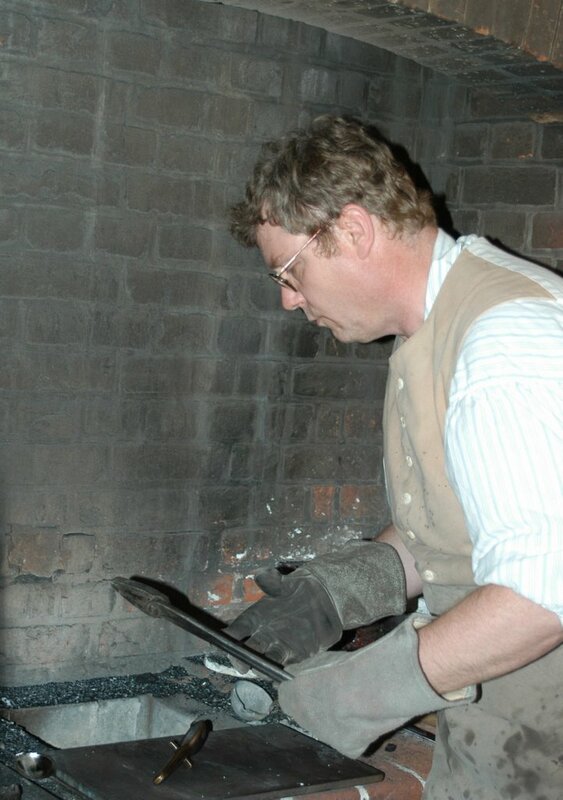 This means that all of the homes and businesses are run by costumed actors. Some stayed in character, some didn’t. 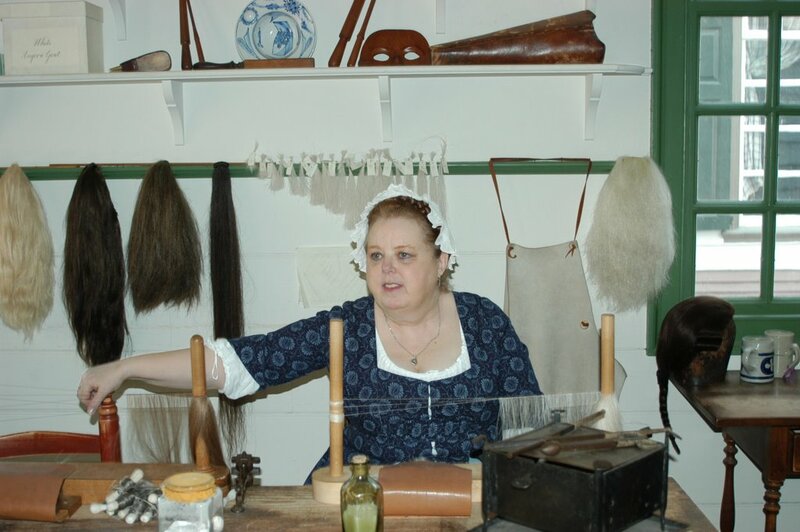 For example, the lady making wigs in the wig shop looked at you as if you had grown a second head if you asked her a question that wouldn’t be possible to answer in the 18th century. The gentleman in the foundry just talked to us in a normal way, explaining everything and answering any question we threw his way. He was also interested in knowing where we were from and what our thoughts were. 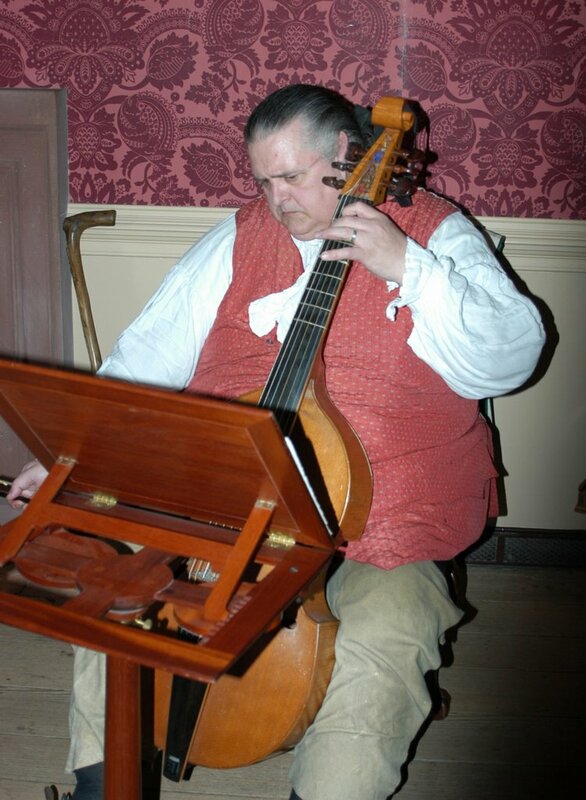 In the Wythe House, there was a gentleman pl aying an instument that resembled a cello, but sounded more like a viola. The girls were fascinated by both the instrument and the costumed musician. The girls really enjoyed comparing the instrument that they played with the early ancestor. Apparently it has six strings, a different key and the bow was held differently. (I’m only repeating what they said as I can barely read music!) It would have been nice to let them stay and nurture their curiosity, but the group was waiting for us, so I nearly had to drag them out of the house. After our official guided tour was over, we had free time to visit more buildings, shop and have lu nch. All too soon it was time to meet up with the rest of the group and head over to the settlement of Jamestown. Jamestown was the first permanent English settlement of the New World. Unlike Williamsburg, the Jamestown Settlement was a replica of the original. I’d really like to say I got a lot out of it, but, if I’m being honest…I didn’t. The temperature was in the 80’s (a huge switch from what we were used to). We were scurrying around trying to get the kids slathered with sunscreen as you could almost watch their pale skin sizzle and turn red. A couple of them were really having a hard time with the heat. It was nice to get back to the air conditioned bus. Dinner was at another buffet. Amazingly they had pizza and pasta. Yum. Oh, southern food. The sweet potatoes were amazing!